Mama Was the Queen of Christmas! We're happy to supply you with a fun Christmas article and recipe to be used on your blog or in your newsletter or publication. We've also included some background on the book, in case you'd like to spotlight that information. If you do chose to use the article on your site, please also include the author bio. Feel free to use the book and/or author photo as well. Contact Linda directly if you need her to send you the material in some other format. And if you're interested in reviewing the book, request a review copy from her. (November, 2012 – Spartanburg, SC) Do you love Christmas but feel the real meaning of the season is lost in the busyness? Do you breathe a sigh of relief when the last holiday guest is out the door, the last gift unwrapped, and the last ornament put away? Do you struggle with balancing the preparation and celebration with honoring Jesus? After all, it is His birthday! 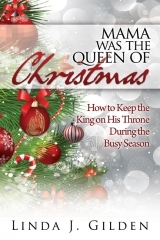 Mama Was the Queen of Christmas is a collection of stories highlighting “Mama's” role in the season as well as quotes, scripture, and practical suggestions for keeping the holidays focused on Christ. Mama presents creative ideas to plan a meaningful holiday season. “For the Queen” helps the reader focus on the truth of each story. This feature includes suggestions for the reader to implement that truth in his or her life. “For the King” points the reader to the One whose birth we celebrate through a personal activity. “For the Court” suggests family activities to apply the truth in each story. How will all the little holiday extras ever get done? I ask myself that question every year. And as much as I enjoy the holidays, there seems to be so little time. One year I decided to let go of expectations and concentrate on celebrating Jesus. I came up with a plan to accomplish a lot of the extras in a very short time. I created a game! There was minor grumbling but in the end everyone agreed a family game would be fun. And I was so excited about the end result! I found a cute Christmas container and deposited little slips of paper, each describing a job. Position the electric candles in the windows. Put the greenery on the mantle downstairs. A smile face. This job was really important. The person who got the smile was to circulate, serve refreshments, and make sure everyone was having fun. Plan a family activity that will help us concentrate on the real meaning of the season such as memorize the Christmas story from Luke, find someone to share the season with who hasn’t yet met the Savior, concentrate on a different aspect of Jesus’ birth in daily devotions, etc. Christmas music playing in the background created a festive and jovial mood. As it turned out, everybody was a winner in this game. The family gathered in the kitchen for a sample of “rocks,” pointing out that we had become happy little elves, proudly creating an atmosphere of merriment for the holidays. Are there things you can do to make this holiday season less stressed for you and your family? RECIPE: Rocks – Favorite Holiday Treat! Add peanuts and cereal and mix until thoroughly coated. A wooden spoon works best for this. Put confectioner’s sugar in a plastic bag. Add cereal mixture, close bag tightly, and shake gently until mixture is coated with sugar. If you do a third of the mixture at a time, it is easier to handle. Makes a lot! Store in an airtight container. Enjoy! Linda Gilden’s favorite season is Christmas. But, truthfully, she and her family like to celebrate all year long, so can it really be called a season? Growing up in a home where the spirit of Christmas prevailed throughout the year, she knows she is blessed to have married a man who shares the same philosophy—Jesus is not just for a season but for a lifetime! 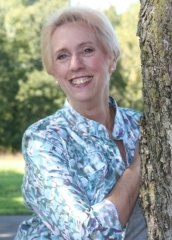 Linda is the author of over a thousand magazine articles and several other books, such as Love Notes in Lunchboxes, Love Notes on His Pillow, and Mommy Pick-Me-Ups (all by New Hope Publishers), but Mama Was the Queen of Christmas is one she has wanted to write for a long time. Her heart’s desire is to see families enjoy each other and make memories no matter what the season. Linda lives in South Carolina with her husband, three grown children and children-in-law, four grandchildren, and a granddog, all of whom love Christmas as much as she does! Welcome Chris who shares about his new book, Journey to Terreldor, which happens to have lots of special goodies in the offering today for those who purchase the book on Amazon. But visit here first. Other prizes include a free Kindle. Join Mark and his brother as they find themselves in a strange world filled with impossibility and adventure. Faced with tragedy and trial, Mark is forced to draw upon strengths and develop skills he never expected himself capable of. The brothers are taken in by mentors who claim to hold the secrets of true wisdom and maturity. In their endeavors, they learn the most difficult lessons in life are often found on the path home. Begin the adventure in Journey to Terreldor, then follow these brothers as they are cast into peril in Terreldor at War. Discover the culmination of their odyssey in The Long Path Home. [Chris] I love being able to engage readers through entertainment, while bringing them topics to ponder--relevant topics I hope they will appreciate. [Chris] Writing is easy--editing is hard. I've learned how to engage a larger audience, and to leave them with something they didn't have before they picked up my book. 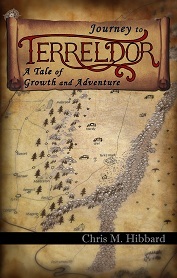 [Chris] Journey to Terreldor is the first volume in the "Adventures in Terreldor" trilogy. It is centered on a teenager who finds himself in a strange world, with no memories of how he arrived. As he discovers this new world, he finds himself caught up in a conflict that threatens to divide a kingdom, and destroy many lives in the balance. He learns life's most difficult lessons are often found on the path home. Marketing a book can be as difficult as writing it. Indie writers need a community of support for gaining exposure. Plan on doing plenty of research; you need to be knowledgeable to write well. Grammar, grammar, and more grammar. Chris M. Hibbard was born in the suburbs of New Jersey, the second of three brothers. His family soon moved to Alaska, where he grew up scrambling over the mountains and beaches of a remote village wedged between thickly wooded peaks and deep fjords. His childhood shaped in him an early love for family and the outdoors, and inspired such hobbies as wildlife photography, grafting fruit trees, and horticulture. His first novel began as a collection of stories he invented to entertain his children. He, his wife and four children make their home in the Piney Woods of Texas. Wood’s charming story in rhyme features Grandfather Afi’s Big Red Chair. The chair is special for all family members, for hugs, naps, playtime; even laundry. The tale begins with “We did not want a big red chair” until the time came Grandmother Ammi decides she would like the chair since Afi does. When Afi needs to be in the hospital, he misses his Big Red Chair. And when God calls Afi home, the rest of the family remember Afi’s love, especially when they use his chair. More than a family tale, Wood’s book shares the love of a special grandfather who leaves fond memories in the everyday item they all enjoyed: his favorite chair. The pictures used to illustrate the book are a treasure and nearly any family can relate to them. A discussion guide meant to help young ones recall their friends or family members with love is included. Creeden’s dedication, “For those who, like me, find themselves in the middle of the lake of life without a paddle” says a lot about what to expect in this nifty little guide of forty days’ worth of lessons to change a habit of poor choices. From the opening lesson of choosing to draw near to God through better prayer through cutting off “unfruitful” aspects of our lives, to doing what we are commanded to being teachable and seeking forgiveness and grace when we need it, each day opens with Scripture and ends with prayer – a habit in itself easy to seek. This encouraging guide may be small but packs a huge impressive punch. You will certainly be uplifted and challenged as you read through these days and practice each lesson. Definitely a good gift to share with someone you love. I belong to two local book clubs because I need to keep my reading habits expanded beyond me...like, if given a choice, I'd probably just eat chocolate chip pancakes for the rest of my life (although there are a lot of things one can do with a pancake....) and need to read some classics and non-fiction instead of a steady diet of fiction that includes dragons. So, in the month of December in each club we're reading a different holiday book. I loved the Russian fable of the snow child, so I was excited to read The Snow Child, a story about Alaskan homesteaders in the 1920s who couldn't have children of their own, thier dreams and play, and the little girl, Faina, who shows up on their doorstep. It's new, published 2012 by Little, Brown, and Co.
And honestly, after I read it, this book is my favorite of the year. I read quite a lot...so that tells ya something. I don't generall recommend books, either: BUT I HIGHLY RECOMMEND THIS ONE. Fannie Flagg has a different take on life, for sure...but we had a good discussion about her story, published 2004, about Oswald T. Campbell who leaves Chicago one winter after getting a stunning diagnosis, to head south to Lost River for what he believes will be his last Christmas. The book was sort of cute, probably set during the fifties, had nothing to do with Christmas and was rather two-dimensional. I liked it okay, don't get me wrong. It was okay to sit down and have someone tell me a story. There were not layers nor enchantment. It was just a little story. 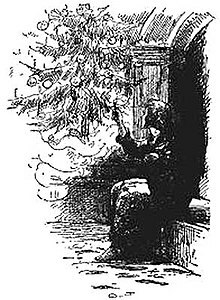 Other favorites of mine include Charles Dickens's classic A Christmas Carol. I love all the different interpretations of it over the years on television and in the theater. O Henry's Gift of the Magi is another one - irony, fable, warning...we're treating ourselves to a live performance of the play this year for our Christmas gift, to American Players Theater in Spring Green, Wisconsin. And finally, besides, of course, Luke's version of the birth in a stable, I think often of the Hans Christian Andersen tale, The Little Match Girl. I remember being absolutely horrified and weeping when I first read it as a little girl, and my mother having to comfort me, but now, I think of it fondly as a lesson in reality and comfort in knowing what comes after this life. Visit these sites to learn about other favorites! I’m following in the blogsteps of the fabulous Carrie Padgett, http://chocolatenonuts.blogspot.com/2012/11/wednesday-next-big-thing-blog-hop.html who posted about Against the Peace last week. As I was writing my Buried Treasure cozy mystery series, I started researching cats and stumbled across this really intriguing breed of ancient cats, Egyptian Mau, literally domesticated by the Egyptians. Coffee, books, cats all just came together and I went from there. Yeah…tough one for me, as I have a picture in my head of what my characters are like, but I don’t usually base them on people/characters I’ve seen. I think Ivy is much like a not-serious Juliana Margulies and True, her boyfriend, is on the wounded-Billy-Burke type. Ivy Preston keeps other people’s secrets for a living. It was contracted by Whimsical Publications. I tend to write pretty quickly once I have all the research in place, though this book underwent a few re-writes. I think I spent about ten weeks on it. Cozy mysteries by definition take place in smaller, intimate communities and have sleuths who are not professional law-enforcement or trained people. 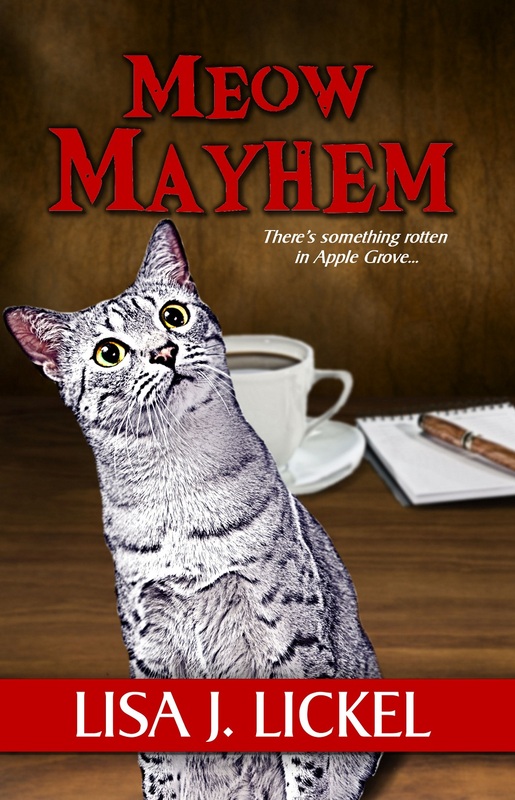 Meow Mayhem is somewhat like Deb Baker’s Doll Collector mysteries, and a bit like Mignon Ballard’s books. 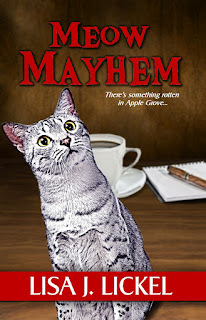 I love little quaint coffee and book shops, and cats, and small towns, so it was fun to come up with a story that used all of those elements. The breed of cat, Egyptian Mau, is unique, so people who like cats might enjoy the antics of these cats. Apple Grove is a small town trying to come back to life and filled with fun people who like what they know and have a bit of suspicion about anything new. A young man makes weapons for the defense of America, still a fledgling nation. He also protects his heart from the allure of a young woman who seems so far above his station in life that he cannot win her. The lady fights her own war against loneliness and grief. Despite her finery and airs, she is drawn to the young armory worker, who is distant yet disarming. Love is the not the only entanglement. The nation's enemies are afoot. They creep within the very walls where America's defenses are being forged. Who are they? When will they strike? Who will survive their terrorism? Intrigue of the heart and intrigue of the times are only part of this compelling story-Book 3 of the Deer Run Saga. This series finale is a gripping mix of romance and deception, faith and forgiveness, transgression and trial. This is a stellar read of the early American period. Elaine Cooper is a gifted wordsmith who brings the era to life vividly and leaves you wanting more. Bravo! 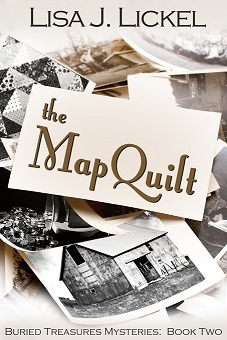 "A plot to wound the baby nation of America, trusted friends who turn into enemies, death, faith, and life, all blend into a tragic yet beautiful tale of life and passion in 1800." "It's no wonder Elaine Marie Cooper is an award-winning author. Her writing shines with an artistic flair to blend deep-heart issues with light romance, love and adventure. Danny and Susannah capture the heart with their innocent love, yet honor and faith. Their story resonates with courage, commitment, faith and victory." 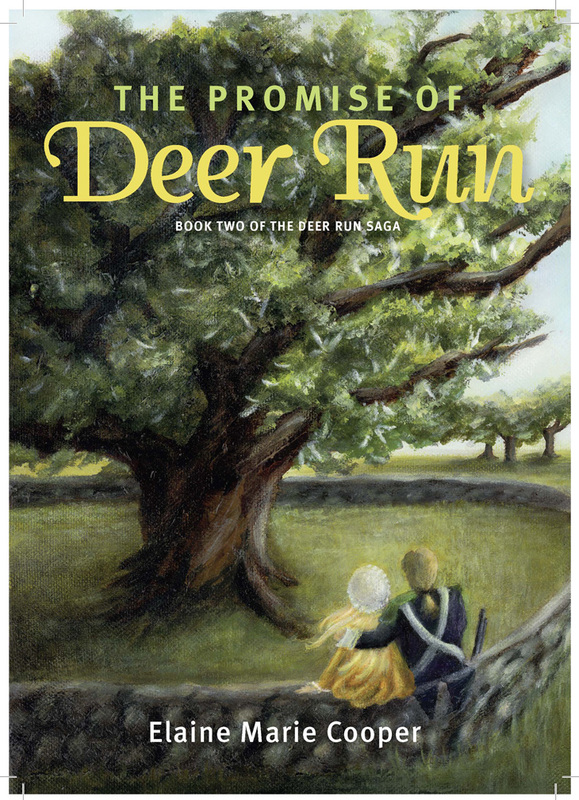 Legacy of Deer Run is a truly beautiful, heart-warming tale that will appeal to readers who enjoy historical romantic Christian fiction. 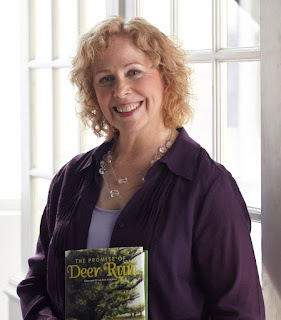 Elaine Marie Cooper is the author of The Road to Deer Run (Finalist in Next Generation Indie Book Awards for Religious Fiction, Honorable Mention in Romance at 2011 Los Angeles Book Festival) and The Promise of Deer Run (Romance Winner for 2012 Los Angeles Book Festival, Finalist in Religious Fiction for ForeWord Review Book of the Year). Cooper is also a contributing writer for Fighting Fear: Winning the War at Home by Edie Melson. Look for her upcoming short story, "The Tea Set," that will appear in a soon-to-be-released Christmas anthology called, I Choose You (Dec. 2012) She is a wife, mom, Grammie to triplets, and a registered nurse. 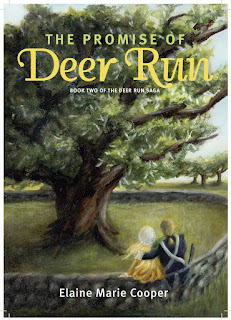 The Legacy of Deer Run is Elaine Marie Cooper's third book in the Deer Run Saga. She will be offering free gifts to those that purchase this book at Amazon on Tuesday, December 4 when they go to her page at http://www.DeerRunSaga.com. Be sure to save your receipt number from your Amazon purchase in order to obtain the free gifts offered! You can also purchase directly from Sword of the Spirit Publishing on December 4th at a special low price. See the above link for details.